In one of the most comprehensive studies of its kind, scientists have discovered that although the number of reported floods has gone up during the 20th and 21st Century, this trend disappears when the figures are adjusted to reflect population growth and increased building numbers over the same period. Published in the journal Hydrological Sciences, the study looks at data sets from 1884 to 2013 and found an upward trend in reported flooding, with flood events appearing more frequently towards the end of the 20th century, peaking in 2012 when annual rainfall was the second highest in over 100 years. The rise in UK flood reports over the 20th Century coincides with population growth from 38.2 million to 59.1 million and a tripling in the number of houses, from 7.7 million to 24.8 million. The study found significant variation between decades in both the raw and adjusted data, with the years between 1908 -1934, 1977 – 1988 and 1998 - 2013 featuring a relatively high numbers of reported floods. 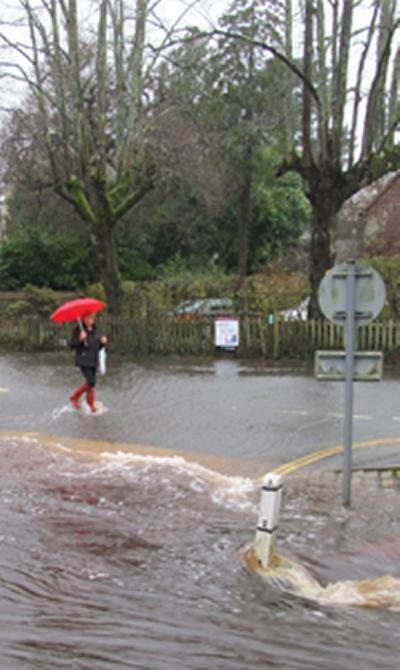 The effect of increasing and improving flood defences is unclear. While upgrades to artificial defences, like the Thames Barrier, have reduced the effect of extreme sea level events, natural flood defences may have declined over the study period. “Attributing periods of reduced flood damage simply to the effects of improved management is difficult and must be done with care,” says co-author Derek Clarke.